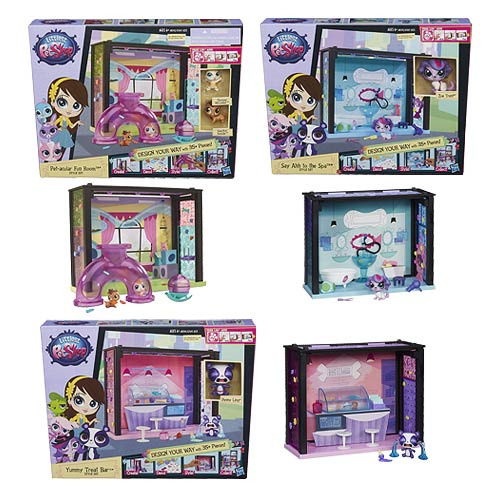 Build a whole home or even a big building with the Littlest Pet Shop Scene Style Playsets! Each individually packaged playset features a pet, furnishings, and a cool new modular system that lets you stack and connect the rooms into your very own pet lodge! Treats, playrooms, and more can be yours to assemble and enjoy any way you want. Ages 6 and up. 1x LPS PET_ACULAR FUN ROOM.